For various purposes that may include promoting new or existing products, services or any significant event, businesses and corporations around the world are using sign holders. A sign holder acts as a vital promotional and advertisement tool that actually speeds up the process for generating and converting leads to sales. With our collection of sign holders, you will also be expediting the accomplishment of your business objectives and goals. The durable construction and the variety of styles, as well as sizes of these sign holders, have made them quite popular in the market. Usually, a sign holder has an acrylic face (it may also be wooden or metallic) so you can slip your card inside with the displayed information. By making use of table sign holders, you will be supporting the flow of steady customers. 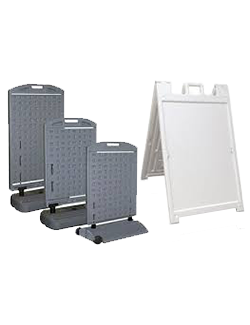 Because of its versatility and ease of use, our sign holders can be used as effective tools for promoting products and services on most occasions. Although, these table sign holders may seem to be a fairly simple means of making your event stand out, usage of the same may actually contribute more than you can imagine to the overall success of your advertising campaign. You can choose the style as per your situation so that it may match perfectly, adding to the ambience of the event. You can use our products mounted on the wall, hung in the window, used as a floor standing sign display or placed on a counter. 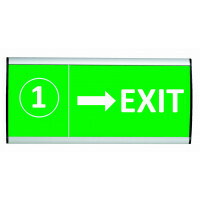 Further, these sign holders can also be stored and used for various events. The quality of the materials used for manufacturing these sign holders ensures that they have a high functional rate. Thus, you get to prepare for your events in the best possible way, with additional long-term benefits.